Regular readers may have noticed that over the last couple of weeks I’ve not been writing as much as usual. 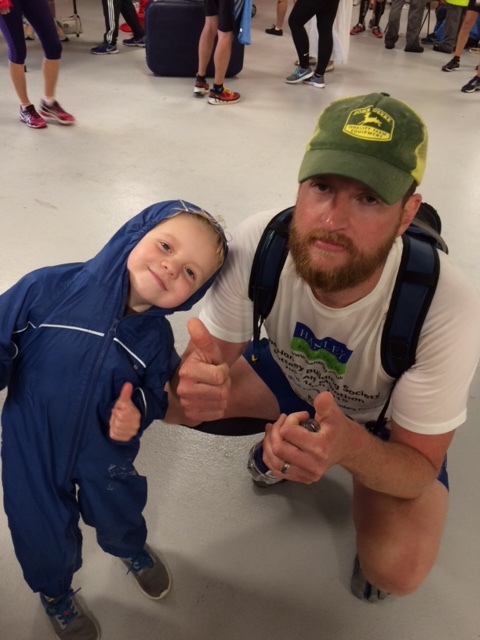 This isn’t as a result of a dip in enthusiasm, a dearth of inspiration, or a lull in my running – far from it. Instead, I lay the blame for my lack of output at the feet of Chris McDougall. 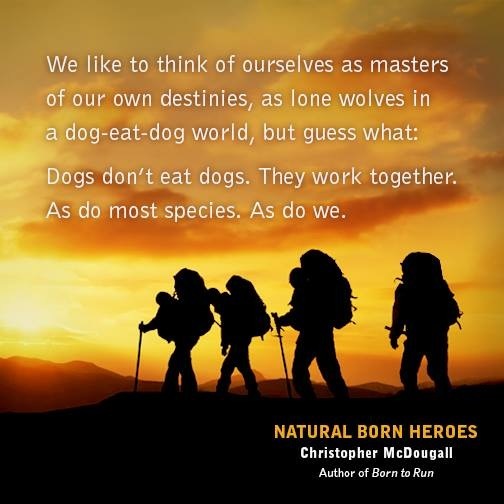 You see, at the times when I’d usually be writing, I’ve been devouring McDougall’s latest book ‘Natural Born Heroes’. Yesterday I finished it and I’ve now been left with the void that comes from closing the final page of a great book. On the plus side, however, I’m filled with inspiration, fuelled by the heroic exploits of the protagonists of the book and, now it’s finished, afforded the time to write about it. At the moment my head is spinning with quotes, extracts and ideas from McDougall’s words, and I will be writing a review in due course, but in the meantime, while I digest, what news? Well, since I last wrote I have officially joined a running club. After my third (or fourth?) 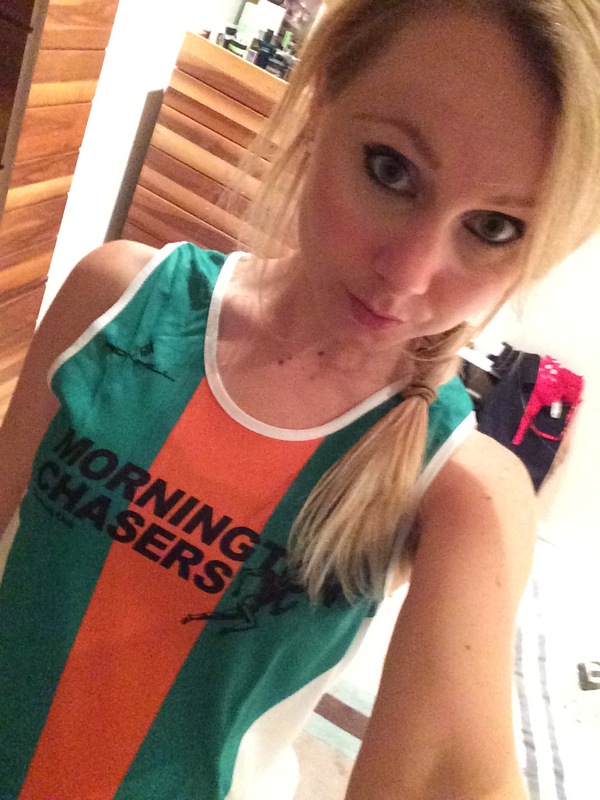 session with the Mornington Chasers I thought it was time to get over my commitment phobia and just join. Having been sceptical and nervous about running with strangers, I have to admit that I really love running with the club. Everyone is so friendly and the plentiful chats as we jog make the runs go so quickly. Each session, different people stand up front and announce the run that they are leading, letting you know the route, distance and approximate speed so that you can decide which you fancy. Distances can be anything from 4 to 9 miles and at speeds from 10 minute miles to 6.30 minute miles. At the end we all regroup again for squash, biscuits and more of a chat. I’m enjoying it so much that I’m even half tempted to join the Summer League and race for the club…maybe. Last weekend I also spontaneously decided to run the tail end of a marathon with Georg, my brother-in-law. 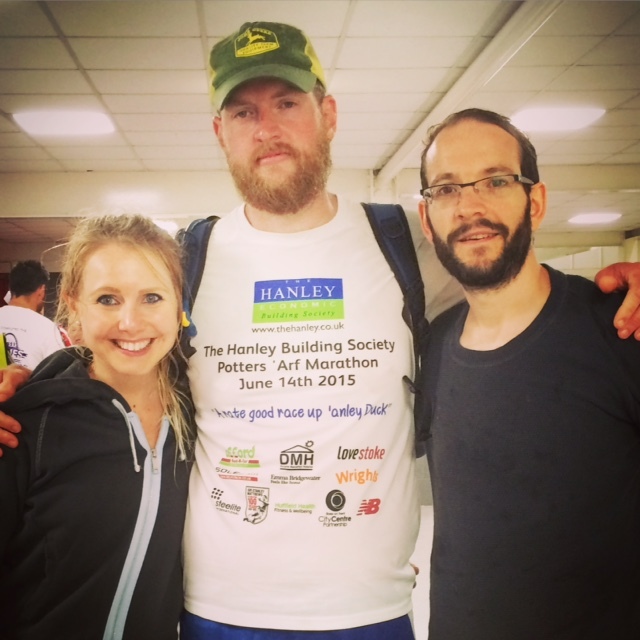 I found myself on an unexpected visit to see my family which coincided with the Potteries Marathon in my home town and Georg was signed up to race. The 20 mile point was a short walk from my parent’s house and, knowing how I felt at 20 miles during my marathon, I asked Georg if he wanted some company for the last 6. Luckily he said ‘yes’ so mum, dad, R and I headed down to cheer on the runners, and R and I got ready to join Georg as he came past. The route was monstrously hilly and it was super hot. Well, that was, until the final half mile, when the heavens opened, the winds whipped and we were all soaked through. The tent distributing medals was even blown away. Still mum, dad, my sister and my nephews were all waiting for Georg to cross the finish line at the Britannia Stadium. I am also tempted to enter the Potteries next year, although with those hills and less than a 50% finishing rate I’m not totally sure! Still they also offer the race as a relay, which even R was tempted to enter with me. 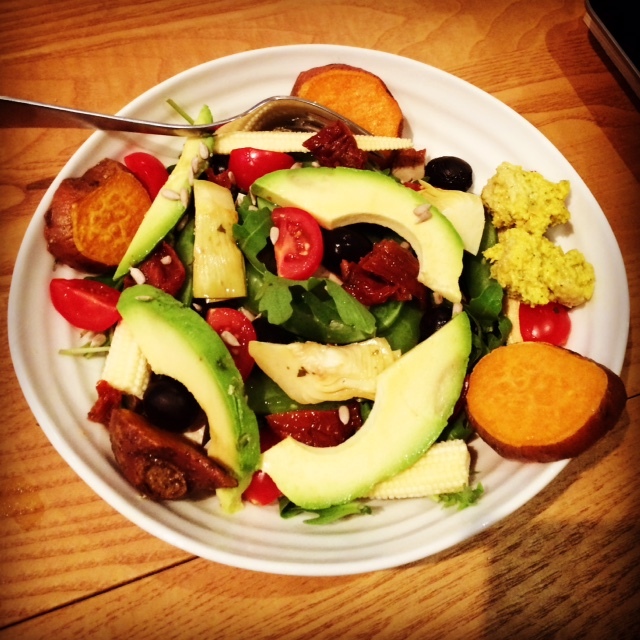 Finally R and I have decided to go on a health kick. We have independently been reading various articles about nutrition and have decided to endeavour to cut our sugar, focus on low GI and have a couple of fasting days a week. Hopefully it will help improve our overall health and running performance; I will report back! Previous postHas green become the new black?